Mike and Cheri of Batavia adopted E's Gooseberry. She is joined by Neville the chihuahua and Jax a corgi mix. 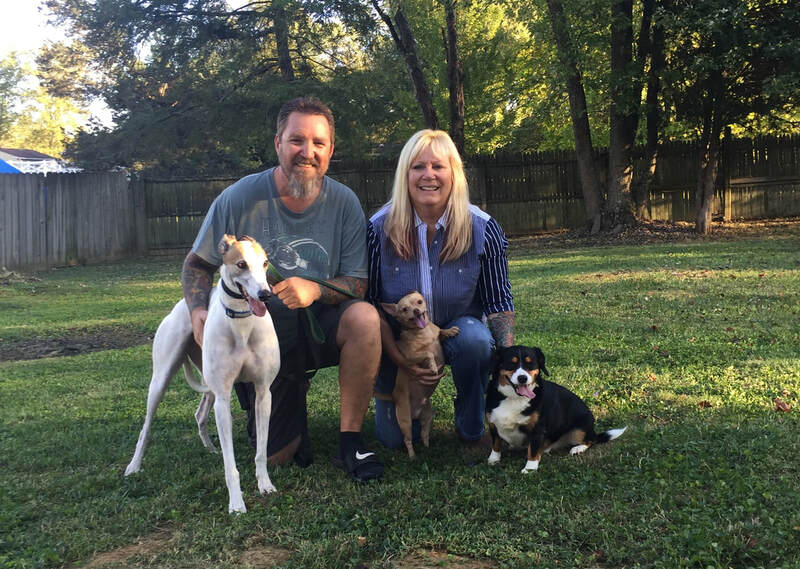 Mike had a greyhound in the past and loved the breed and was just waiting for the right time to get another one. Gooseberry was a perfect fit for their pack because she does not mind Neville being the boss at all! As soon as Gooseberry met the family she immediately warmed up to Mike and just ignored the boys barking at her. Gooseberry will be very spoiled being the only girl in the pack!